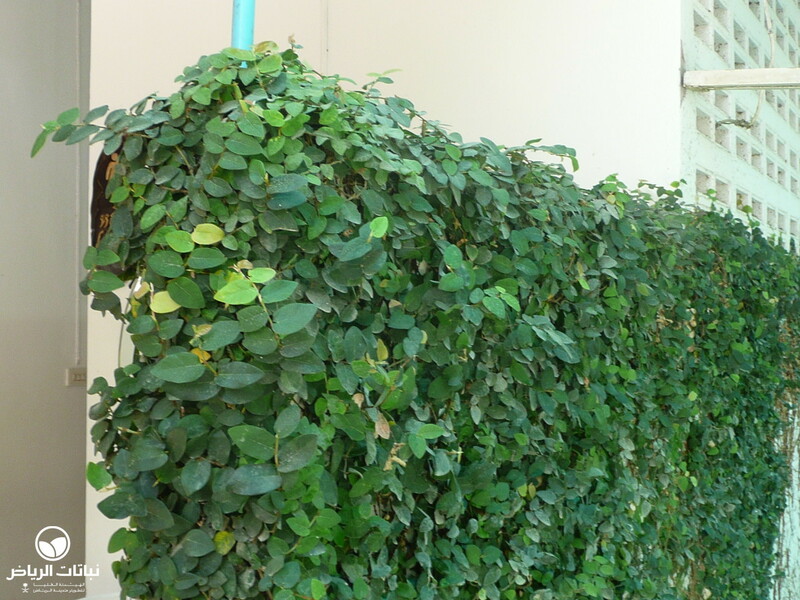 A very common creeper in tropical countries originating in Asia, the Creeping Fig is a vigorous, self-clinging, evergreen vine that attaches itself to surfaces via aerial rootlets. 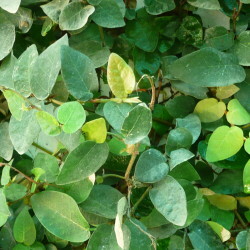 Its small leaves are heart-shaped in their juvenile state, forming an interesting pattern on a wall, while the plant is still young; later, the leaves become much larger, up to 10 cm long, oblong and leathery, when mature. 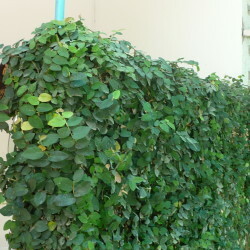 The vine will then cover large areas of the wall completely and quickly. A mature plant will reach 5 metres and more and develop woody branches which stand out up to 60 cm from a wall. 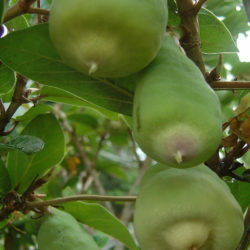 Flowers are insignificant and rare, as are the fig-like but inedible fruits which occasionally appear on plants throughout the year. F. pumila will climb on most surfaces and is good on trellises, in shady locations especially on north- or east-facing walls, where it grows best in Arriyadh. Morning sun is tolerated. Propagation is by seed, cuttings or offsets. Best in fertile garden soil, it is sometimes subject to root knot nematodes and root rot. Frost damage is caused at –10°C, but the vine will survive with warmth radiated from a supporting wall. It requires moderate, but regular irrigation. 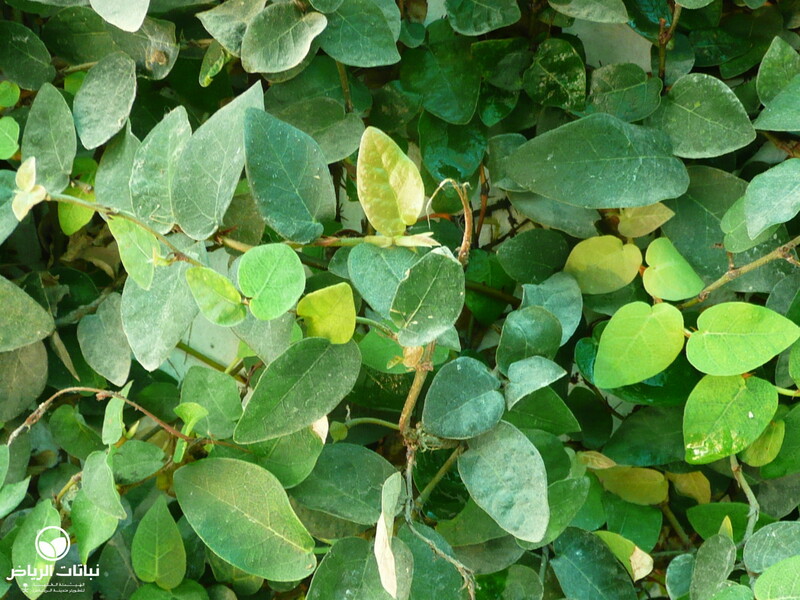 Maintenance is low, but the plant can become a nuisance if it gets out of control and it can be difficult to remove from a wall – top-heavy plants, on the other hand, may peel away. It can be cut to the ground to encourage new juvenile growth or to prevent it becoming too invasive. 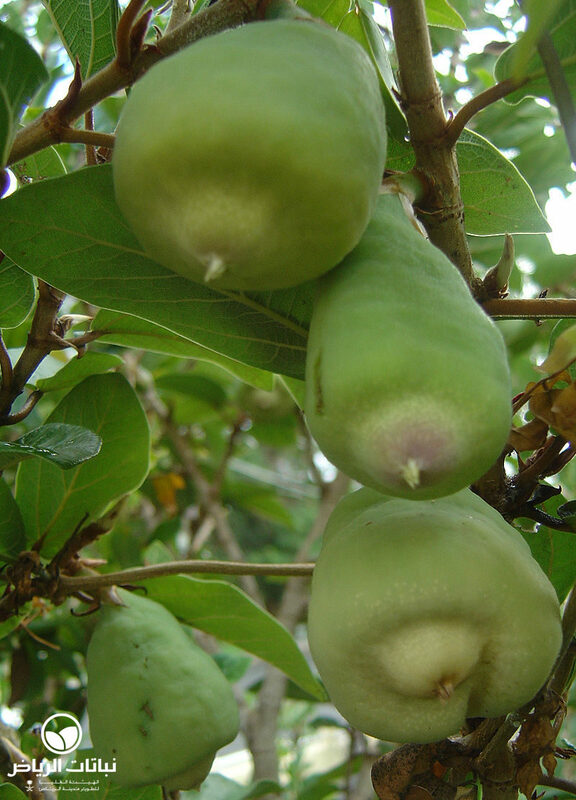 The variety ‘Minima’ retains the small leaf form for a longer period.